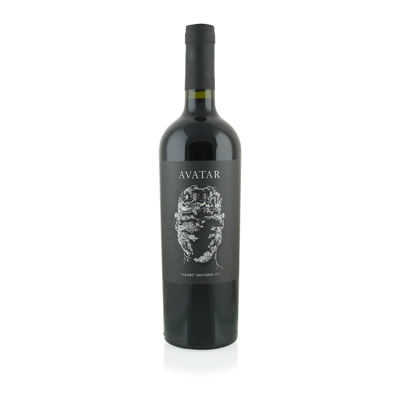 Avatar is made by Casir dos Santos, one of the oldest continuously producing wineries in Argentina. Founded in 1862 in the Agrelo area, just southeast of the city of Mendoza, the vineyards range in age from 20 to 50 years old and sit 3,000 feet above sea level, at the foot of the Andes Mountains. There are several things that are unique about Argentina's vineyard region. First of all, there is virtually no rain here. The plants get their water from the runoff of the Andes. Secondly, all the vines are planted on their original rootstock. Most of the rest of the world's vines are planted on American rootstock and grafted above ground to become whatever grape is grafted on. Original rootstock is very susceptible to a vicious plant louse called phylloxera. It lives benignly in American roots but can eat European roots from the ground up in a few years. Thankfully, though phylloxera exists in Argentina, it is a much weaker biotype than the kind that ravaged the vineyards of Europe. This weaker phylloxera is no match for the hearty vines that thrive in the alluvial, sandy soils next to the Mendoza River. The winemaker of this selection, Didier Debono, was born in France. After years working in the vineyards there, he came to Argentina in 2002 to help with a harvest there. And he never left. His wines are a testament to how far Argentina has come in the world of wine. Lovely, seductive flavors of cassis and plum abound and never give up.